From an island of dinosaurs to a family of superheroes, 2018 has already been packed with returning franchises. Now the film world’s deadliest hunter makes his (or its?) return to the silver screen as The Predator hits theaters on September 14. 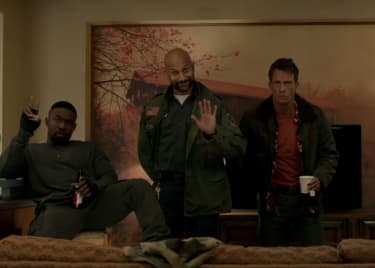 The sci-fi thriller is directed by Shane Black, who has a very specific connection to the franchise: he played Hawkins, one of the soldiers in the original 1987 film. 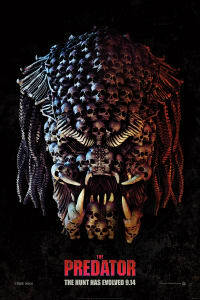 While Black does not reprise his character in The Predator, this film will serve as both a sequel and a reboot to the Predator franchise. In designing the film to serve both purposes, Black has also ensured the movie will set itself apart from everything that came before. 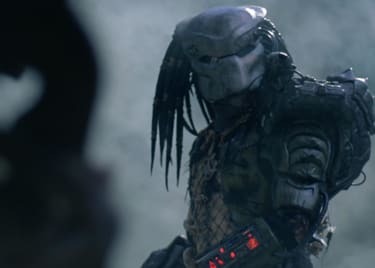 The Predator has been a cinematic icon for over 30 years. In that time, the alien hunter has appeared in five thrilling movies, serving as an unstoppable antagonist for the likes of Arnold Schwarzenegger, Danny Glover, Adrien Brody and even Alien‘s Xenomorph to overcome. Other than the fact that it hunts for sport, however, we don’t know all that much about the character. With their advanced technology and complex hunting methods, it’s clear that the Yuatja species, as the Predators call themselves, are swimming in rich backstory. Yet none of the films have ever truly explored their history. Predator 2 came close by alluding to the creature’s past battles, while Alien vs. Predator and Predators left us with more questions than answers about their background. The Predator promises something a bit different. While The Predator will indeed focus on another batch of creatures that end up on Earth, the story won’t be defined by just another hunt. Unlike previous outings, the Predators aren’t just there to serve as the film’s main antagonists. Accidentally summoned by a young boy’s signal, they will arrive on Earth and potentially attack whoever finds them. But it seems like at least one of them will be captured and studied by a team of scientists. While this likely won’t end well for his captors, it may finally shed some light on the character’s backstory. In a recent interview with Collider, Black spoke about his desire to change things up while still honoring prior films. These comments support what we’ve seen in the film’s trailer. Sterling K. Brown’s character seems to know a lot about the alien (he even refers to the creature as a “Predator”), which marks a change from the unsuspecting human prey we usually see in these movies. Thus, it’s clear that the film is setting the alien creatures up for a different kind of leading role. We should find out more about the species, and perhaps what their ultimate motivations are. That may have something to do with the larger Alpha Predators that are also seen in the trailer. This kind of background could end up reinvigorating an aged franchise. Much like the Jurassic World Trilogy has breathed new life into the Jurassic Park franchise, The Predator could lead to a new series of films. They might explore the creatures instead of their targets, to ultimately tell a different story from the past movies. 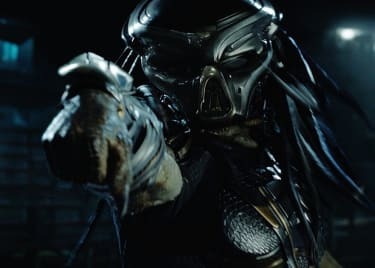 The Predators have been around for decades, but The Predator could finally be the film that lets us find out who they really are and what they really want. The Predator hits theaters on September 14, 2018.